Hulu is tapping YouTube talent for its next original series, signing on the creators of Video Game High School for an eight-episode comedy. The new original will be a half-hour series from Freddie Wong and RocketJump, whose Video Game High School and original short videos regularly receive millions of views on YouTube. Lionsgate Television is also on board with the project. There’s no word on a premiere date. RocketJump’s YouTube Channel is mostly comedy, occasionally but not always focused on video games. Video Game High School, which pokes fun at both teenage drama shows and gaming tropes, ran for three seasons, with each episode running about 10 minutes. This will be the Wong and RocketJump’s first crack at the 30-minute television format. Why this matters: Hulu is no stranger to original series—it currently offers more than 20 of them—but most are rooted in conventional television with Hollywood actors and producers. It’s unclear how well this strategy has worked for Hulu, as originals from rivals Netflix and Amazon have received more critical acclaim. 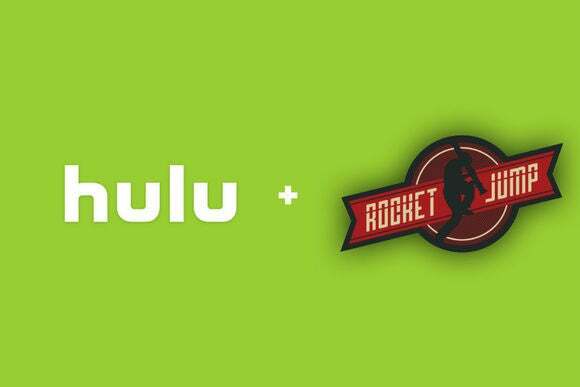 Instead of trying to compete directly, Hulu may see this deal as a way to reach a younger demographic that’s more tuned into YouTube than traditional television.